Victoria Kids has offered a high-quality service to the families of staff and students for more than 30 years. We now also welcome enrolments from the public. We have two early childhood centres on site offering a range of different session times and fees to best suit your needs. Please see our centres page for more information. We operate throughout the year, closing for public statutory and university holidays, three teacher-only days and a two week break at Christmas. Our staff are fully qualified, Early Childhood Education (ECE) teachers who are passionate about extending children’s learning. We have a specialist manager who oversees education and care in all of our centres, giving parents confidence that they have made the best decision for their child's care and education. Different activities are set up daily to introduce numeracy, literacy, arts and technology concepts and ideas. 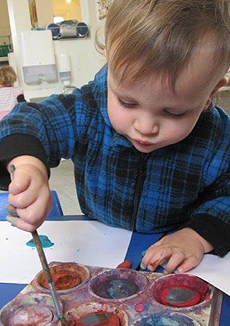 We are guided by Te Whaariki, the Ministry of Education’s early childhood curriculum. We have been offering quality early childhood education for more than 30 years and generations of Victoria Kids have flourished in our care. You can have confidence in us as a reputable and respected service provider. The safety of your child comes first. Because we employ a higher number of teachers than is legally required, so you can be rest assured that your child receives close supervision and is in safe hands. As well as outdoor spaces with sandpits, grass, gardens, swings and trees, there is plenty of room for your child to play indoors. Our centres have an abundance of stimulating educational equipment to challenge children of all ages. Every parent wants their child to make friends. Being with other children enables your child to pick up valuable social skills such as sharing, empathy, manners and confidence, and helps to develop communication skills. As a not-for-profit provider, all money received is reinvested in our centres. We offer competitive fees for parents of all income brackets and a range of enrolment options to meet the needs of our families. Located at Victoria University’s Kelburn campus, our centres are close to the central business district and the cable car, making us a convenient option for many parents. Visitors are always welcome and our teachers are ready to answer all your questions. Stay and play a while, and judge for yourself the high quality service we offer.